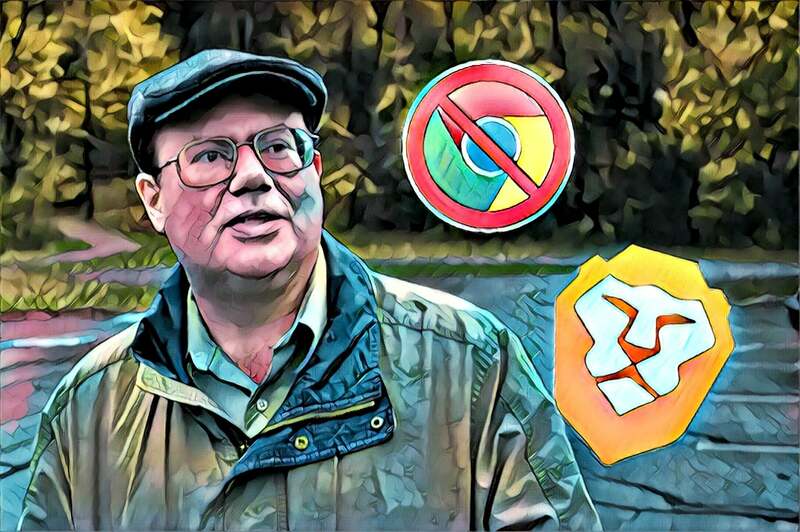 Wikipedia Co-founder: Stop Using Chrome - "I’ve switched to Brave"
Wikipedia co-founder Larry Sanger has thrown his support behind the Brave browser and the Basic Attention Token (BAT) project. The internet enthusiast and philosopher published a post, titled ‘The two problems of computer technology”, on his personal website, a post that covered his concerns about internet security and the increasing monopolization of the internet by a few established entities. Sanger, who is also the Chief Information Office for decentralized web encyclopedia Everipedia, gets straight to the point about how the services that are we offered – computation on desktops, internet search engines, social media platforms and so on – are given to us for free, or so we would like to think. The downside of this free service is that we trade data, which in truth is an extremely lopsided trade-off that works in the favor of these monopolies. The Brave browser has been doing really well in the past year or so. The number of verified publishers has increased, and it features the likes of The Washington Post and The Guardian. It now also allows tipping, has launched its Brave Ads program and remarkably, has hit 20 million downloads on Android. While Google Chrome still dominates the market, it’s a testament to Brave’s vision and work ethic that it has expanded so quickly.